Prior to Christmas Alan was admitted to the Respiratory Unit at The Coventry University Hospital, due to restrictions in his airways which was causing some discomfort and difficulties when eating and drinking. He came home for Christmas Day and Boxing Day but returned on the 27th December due to continued restrictions. Alan is still in Coventry but has been moved to The Myton Hospice where he can get more specific treatment. He has his own room and a very caring team of nurses who are looking after him. We continue to visit Alan to keep him updated on office gossip and trying to keep his spirits up. 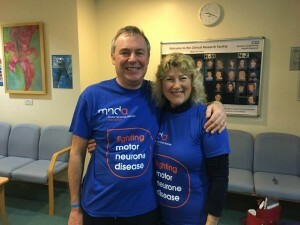 Simon has announced that his application to Trek to Everest Base Camp on behalf of MNDA has been accepted and is scheduled for November 2019. 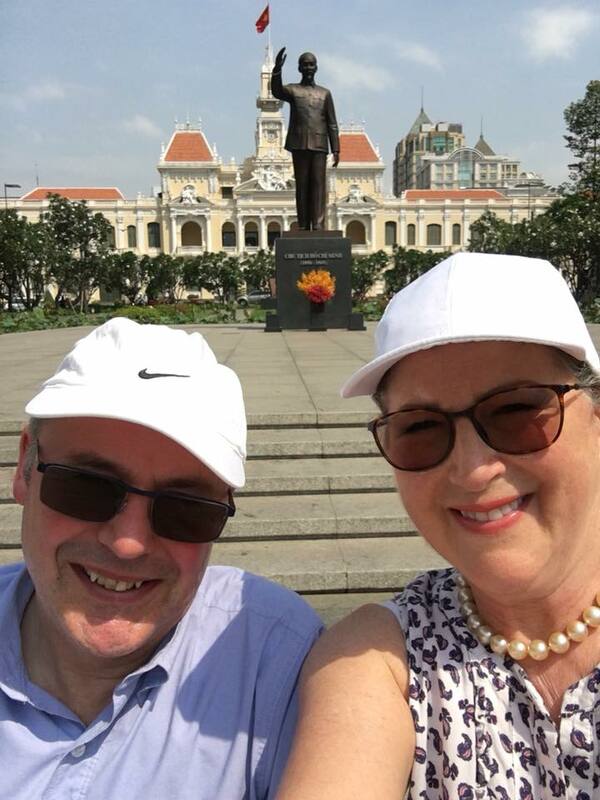 A JustGiving page has been set up – ‘Mad for Alan’, please visit and keep up to date on fundraising activities and targets. Both Christina and I are still meeting with Alan on a weekly basis, mainly to keep him up to date on office gossip!!! Since the summer Alan has become almost totally paralysed, now only having movement in his neck and face muscles. Much of this is supported by the permanent use of the ventilator which is assisting with inhaling and exhaling together with supporting air movement over his vocal chords. Without the ventilator Al would be short of breath and his voice would be very quiet. On a more positive note Christina and Rachel recently gave Hazel a little down time with a meal out at The Forest in Dorridge; whilst Simon and Alan enjoyed a fish and chip supper and a few glasses of wine back at Carter Castle. We are looking forward to the annual ABC Solutions Christmas lunch which Al will attend, although perhaps not so many bottles of red will be consumed this year!! It was lovely to see Alan (aka Mr C) back in the ABC office to wish Norma farewell on her retirement. He was chauffer driven in his new WAV by his wife Hazel. Alan spent quality time in the office catching up with colleagues and friends, old and new, it was an emotional morning for us all. On this occasion, for the first time in history, Alan didn’t request a cup of coffee from Mrs W on arrival! A huge thank you to all attended and participated in the recent 60s Disco Night raising funds and awareness for MNDA (Motor Neurone Disease Association) through ticket sales, bar and the grand raffle. A fabulous ambience was set by utilising the VH lights together with some generously loaned ‘disco lights’ which encouraged a full dance floor for the whole evening. Music was provided by the talented Midnight Sapphires trio belting out all the best dance tunes of the 60s. A grand raffle was drawn on the evening giving a huge range of prizes from bottles to meals out, 4 x 4 driving adventures and many more, thank you to all for the generous donations. Sincere thanks go to Rachel and Simon Beacham for organising the event, raffle ticket sellers, The Midnight Sapphires, Martyn for running the bar (dangerous), all who donated so generously, Courtenay Fairbrother for helping to tidy up and all who attended on the evening. Our kind thoughts and best wishes go to Hazel and Alan Carter who gave a few emotional words during the evening; Alan has been diagnosed with MND and was Simon’s business partner for 20 years. Local companies and suppliers very generously donated some lovely gifts, to name a few, thank you very much! ABC Solutions Managing Director, Simon Beacham, ran the Brighton Marathon on Sunday 15th April in aid of ABC’s chosen charity MNDA (Motor Neurone Disease Association). To improve care and support for people with MND, their families and carers. To fund and promote research that leads to new understanding and treatments, and brings us closer to a cure for MND. To campaign and raise awareness so the needs of people with MND and everyone who cares for them are recognised and addressed by wider society. 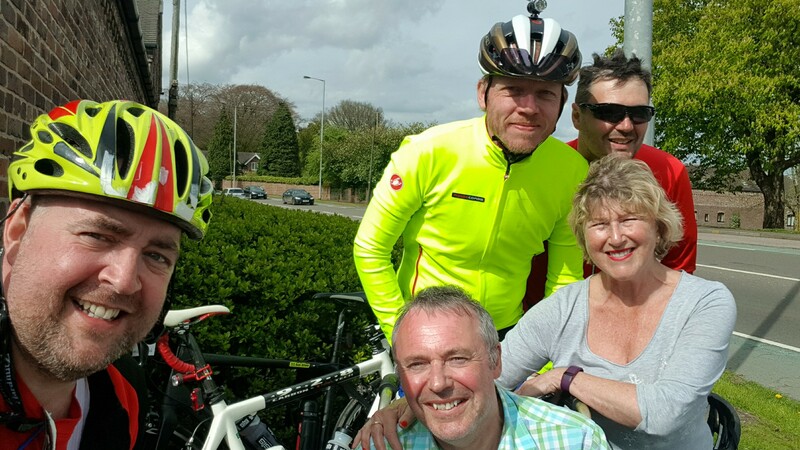 It was an emotional day, with Alan and his wife Hazel being at the Finish line to see Simon over the line in a time of 3:32:53. Alan, Hazel, Simon and his wife Rachel and daughter Maddie spent valued time with the MNDA Events Team in the Event Village after the race, to share stories and special time in the company of people effected by MND, directly or indirectly, and fellow runners raising money for this cause. Alan is improving his mobility, due to his weakening leg, core and back muscles, with the aid of his new lightweight wheelchair (the powered version is on its way). His left arm is weakening so he is requiring a little more palliative care from Hazel. 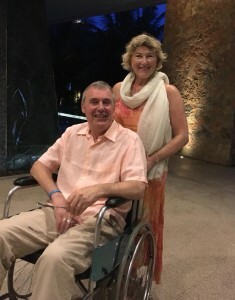 It’s frustrating for Alan and Hazel but they face the challenge of each new day and take on the challenges even though inside it hurts and they have to fight away the tears. The Autumn 10k ARMY now comprises of people who are running 10k events in different locations, so we have raised our target total to £10k. Huge thank you to everyone who has donated and good luck with the training to the ARMY. If you would like to donate, please click on the link below. Accompanied by the support of my loving wife Hazel, its been a long day in Sheffield but all gone well. I have met the trial Doctor and one of the 2 nurses managing the trial. In 7 hours they did a physical examination, lung function test, ECG, cognitive assessments, blood taking (18 Phials in all – some of which is heading over to France,) and a Lumber Puncture which look longer than expected. Starting Riluzole tomorrow – yippee! I’m the 79th person across Europe on the trial. I now have a whole schedule of monthly blood tests ( to check “ Rilly “ does not damage my liver and kidneys), monthly phone calls from Sheffield to check how I am, half a dozen dates to do retests of most of today’s things and two more Lumber Punctures to enjoy ( not ) over the next 2 years. The fight against MND ( now known as the Mean Nasty Disease ) has begun !!!!! !